We believe that mushrooms are nature's little powerhouses. That's why we created Savory Wild – to combine one of the planet's most sustainable foods with authentic flavor combinations from around the world. The result is a delicious snack packed with nutrients and bursting with umami that even Mother Nature would approve. Simple. Savory. Portabella Mushrooms! 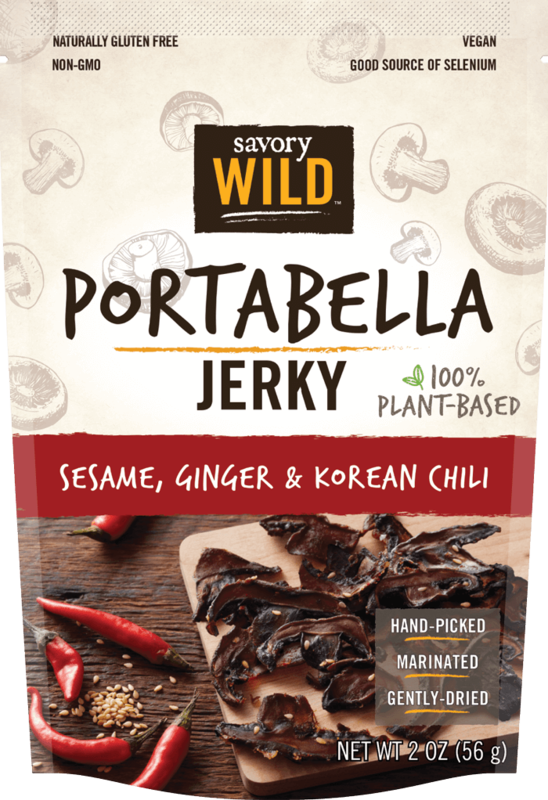 All of our Savory Wild jerky products are gluten-free, vegan, and are a good source of the antioxidant Selenium. They are non-GMO and contain no Preservatives, Hydrogenated Oils, Saturated Fats or MSG. We’ve got you covered. Buy all three signature Savory Wild flavors online today!